Combining 17 years of experience with high quality tiles and a customer focused approach; Estwall Ceramic Services expertly install glass, ceramic and natural stone tiles in commercial and residential properties across Medway, Maidstone, London and Kent. Based in Chatham, Kent, we work on behalf of private homeowners and commercial customers to install beautiful, functional and comfortable tiled flooring in kitchens, bathrooms, living rooms, wet rooms, offices and reception areas. Designed to improve the look and feel of your property, our commercial, kitchen and bathroom tiling installations are ideal for areas with high levels of foot traffic and our expert survey, preparation and installation service will ensure that your floor lasts you for many years to come. Arrange your FREE property survey and no obligation quotation today, no matter where you are across Medway, Kent or London. 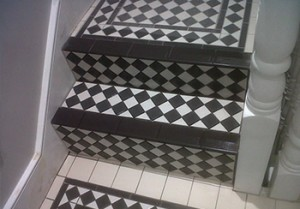 Call our expert commercial, bathroom and kitchen tiling team on 0203 6677318. Our highly skilled and experienced team will visit your property at your convenience and carry out an expert installation that will meet your requirements perfectly. Utilising our extensive experience in the tiling industry and the latest technological advancements, we will install your glass, ceramic or natural stone tiling to the highest possible standard. As one of Medway, Kent and the South East’s leading domestic and commercial tiling experts, we provide detailed, honest and impartial advice as to the most suitable tiling installation for your property. This, combined with our detailed health and safety policy and full insurance, means that you can be assured of the very best customer service. We provide our extensive bathroom, kitchen and floor tiling installation service to domestic and commercial customers across Medway, Kent, London and the South East, including Chatham, Rochester, Gillingham, Rainham, Maidstone, Cobham, Clapham, Kensington, Chelsea, Wandsworth, Battersea, Canterbury, Dover and Sevenoaks. If you would like any more information about our range of domestic and commercial tiling installations, please do not hesitate to contact one of our helpful and friendly team. They are always on hand to answer any questions you may have and provide honest and impartial advice.